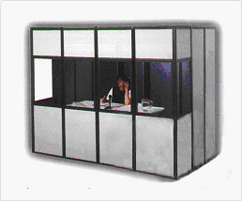 World Interpreting | Interpreting Booths, Modern and Best Quality Interpreting Booths. World Interpreting, Inc.: Providing your business with modern and best quality interpreting booths! At World Interpreting, Inc. professionalism, dedication and passion plays important roles in how we work as a team and you can definitely see that we always do our best to provide you the best service there is! We provide a complete package of interpreting services that include not only our exceptional interpreters, we also provide top of the line interpreting equipment and sound-proof booths for conference interpretation needs! We are here to help you reach your business goals, and that is why aside from our excellent bilingual interpreters, we also made sure our interpreting equipment and booths are the best and are always available for you in any city of the world! We are a progressive company and as technology gets developed every day, so are we. Making sure that we provide our clients with the newest innovations to complement our perfect interpretations and to be able to provide you with the best interpretations experience there is. 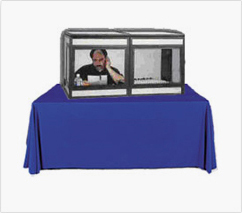 Our sound-proof interpreting booths are created and designed with the latest interpreting technology, resulting to our booths being compact, user-friendly and hassle-free. Thus, letting our interpreters focuses solely on the interpretation which guarantees you with accurate interpretations. We at World Interpreting, Inc. guarantee that we can fulfill all your interpreting needs! We are a global company and we do our best to provide you quality interpretations no matter what language or where in the world the project will be, we do what it takes to break down that language barrier doing what we do best, providing quality interpretations every time. We tailor-fit each project keeping in mind the different needs of our clients and making sure we give them exactly what type of equipment is needed, putting into consideration the area of interpretation, number of participants, client’s personal preference, the list goes on! All this to make their conference interpretation successful! With our in-house technicians caring for our interpreting equipment and booths, we guarantee they are in mint condition and ready for use, delivering high-quality sounds aiding our interpreters to give perfect interpretations. World Interpreting, Inc. offers you the most integral services and the right interpreting solutions for your business, including all the equipment you need for your projects. Don’t be afraid of the global arena! We are here. Let us become your communications tool, and we will make the experience of speaking to the global community like a walk in the park. Don’t be left out! Schedule a sound-proof interpreting booth now! – 2 Interpreters are required for Simultaneous Interpretations and they take turns every 40 minutes. – It is the type of interpretation that requires the interpreter to listen, comprehend, render into target language, and reproduce the original message in the target language after the speaker pauses. – For this mode of interpretation only one interpreter is required. a. For every additional 100 participants, after the 100 participants required for 1 technician an additional technician will be required. b. For every additional 100 participants, after the 100 participants required for 1 assistant an additional assistant will be required. a. Interpreted message is received via FM radio signals. b. 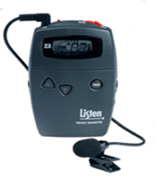 The best solution for allowing meeting delegates to hear the interpreter message. They can pick up signals from up to 300 feet away, including through walls. c. The attendees will have maximum flexibility to move around the conference site. d. Top choice for most conferences and meetings. b. Uses infrared emissions to transmit sound. c. Require an emitter, a modulator, and receivers. d. Less susceptible to radio interference than FM systems, but they require a clear line of sight between the emitter and the receiver and are very susceptible to light. e. It can be heard only in the same room as the speaker. f. Recommended for meetings where secrecy is important, as the interpretation cannot be heard outside of the emitter’s well-defined radiation pattern. Useful for when space is limited. Ideal for workshops and small meetings. Usually one person, and space inside is limited for the interpreter. Standard for 2 persons. Portable and soundproof. The full-size booth provides better soundproofing in noisy conference environments. Used by the interpreters. Transmit the message for interpretion. provided for the participants. Enabled with a chanel and volume control key. The interpreter’s “workstation.” Allows the interpreter to switch between the floor language and the chanel set. 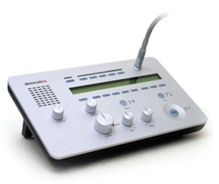 Used by the interpreter to hear the speaker, integrated with a microphone for relaying the message to the participants and connected to the console.